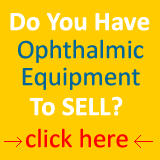 a-scan DGH 5000e - Ophthalmic Equipment and instruments for the professional of today. 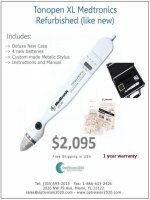 The A-scan DGH 5000e unit with graphic display and IOL power calculation software. All A-scans and A-Scan/Pachymeter combination units include firmware module with SRK II, SRKT, Holladay Dioptimum and Binkhorst II formulas. All model DGH 5000e and DGH 5100e are equipped with corneal compression detection software reducing the possibility of short readings. The only A-Scan in the world with corneal compression detection software! An upgrade of a water immersion option, using the Prager Shell is available on all Model DGH 5000es and DGH 5100es. Are you done with the A-Scan DGH 5000e? Go to A-Scan page.